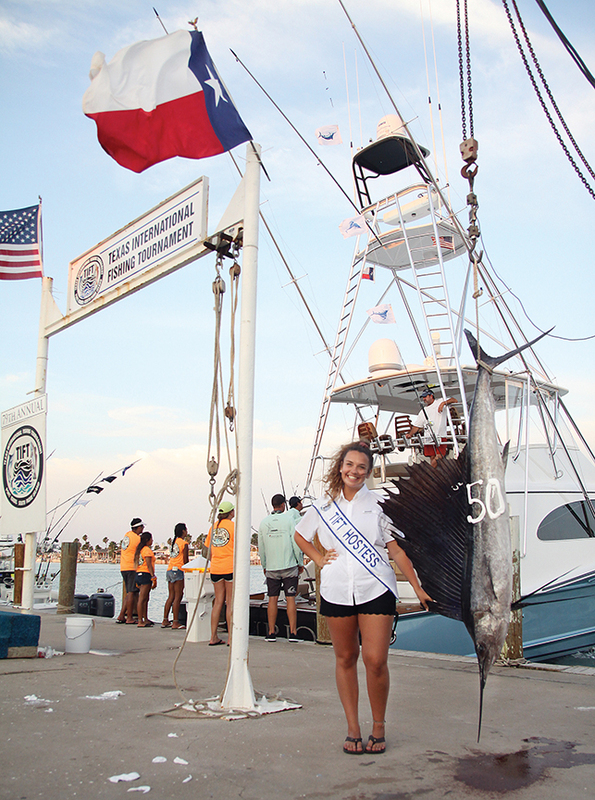 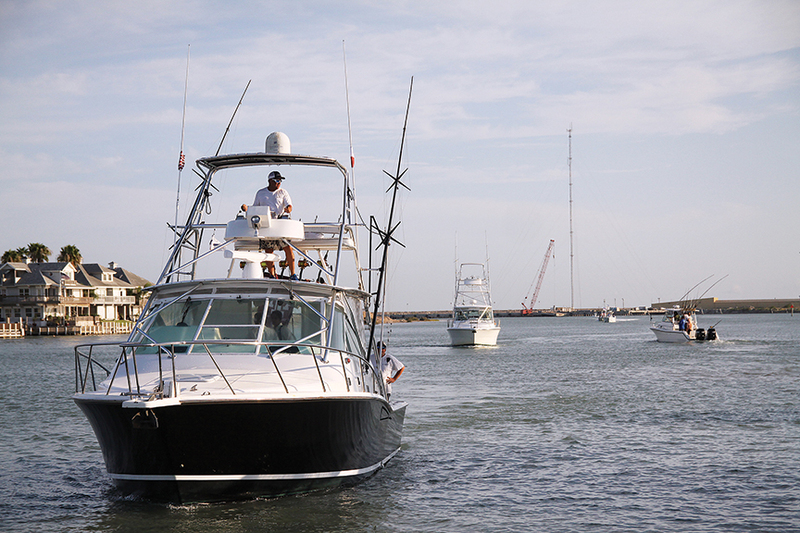 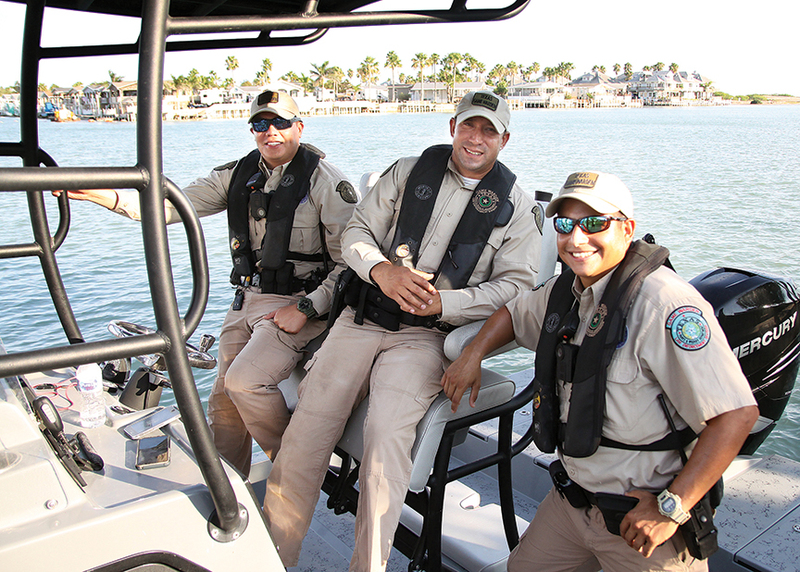 79th Texas International Fishing Tournament! 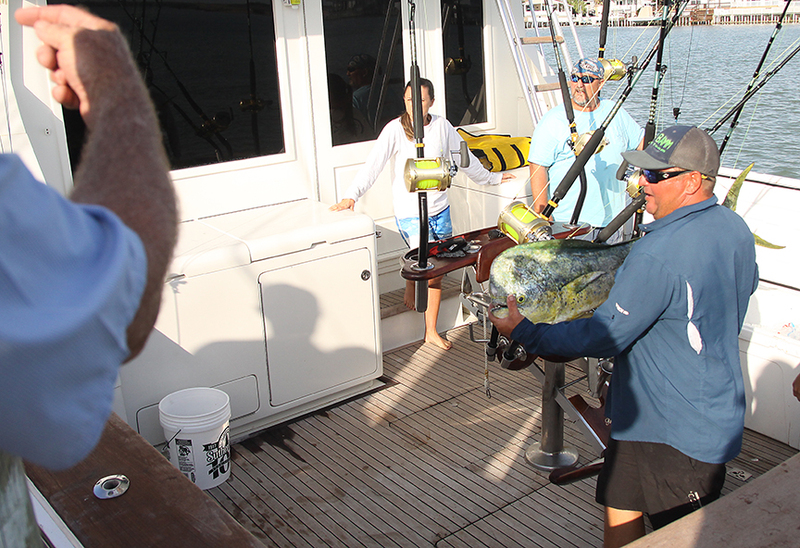 Saturday Weigh-In! 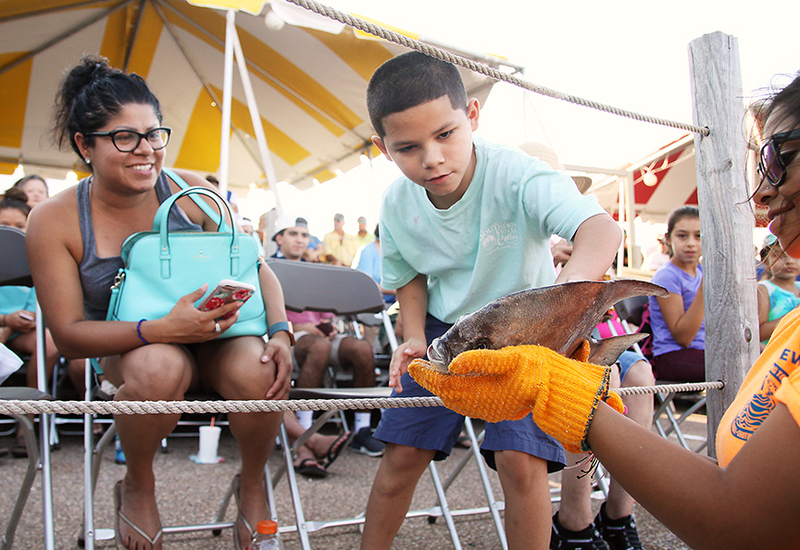 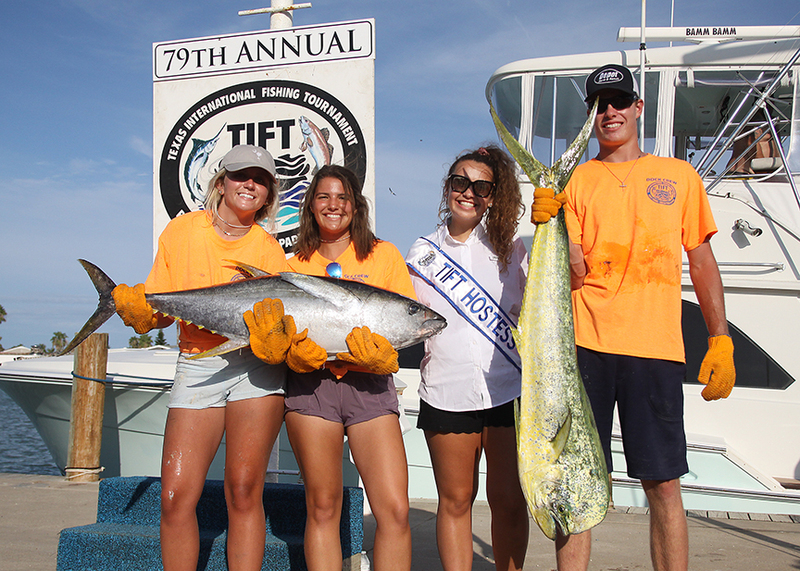 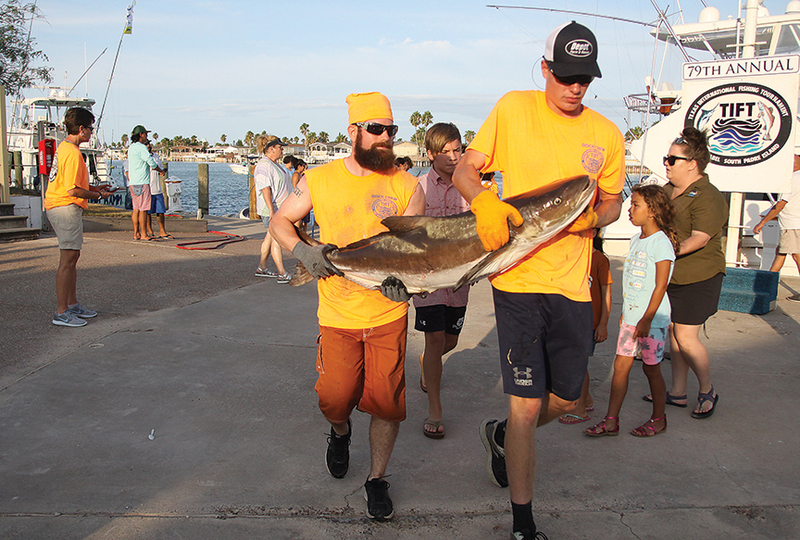 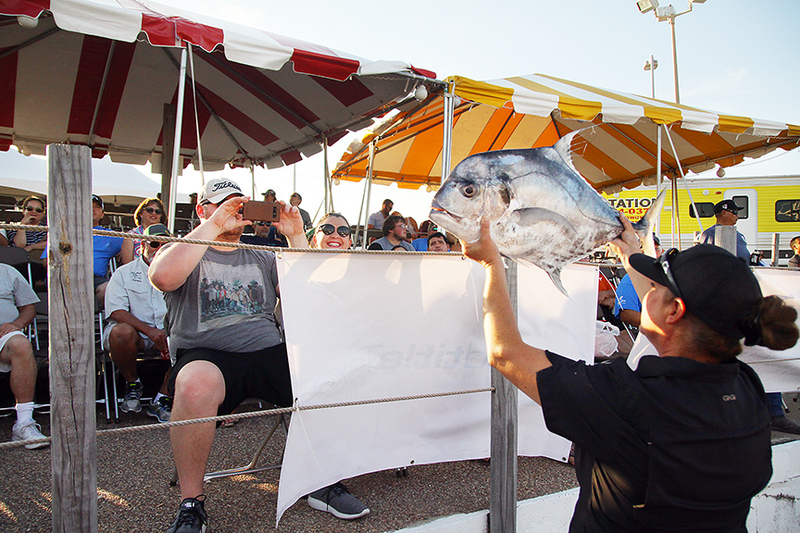 Angler, weighmaster, dockworker, or spectator — it didn’t matter who you were — the 79th Annual Texas International Fishing Tournament (TIFT) was an especially exciting crowd pleaser this year, thanks in part to a couple tournament record-setting fish. 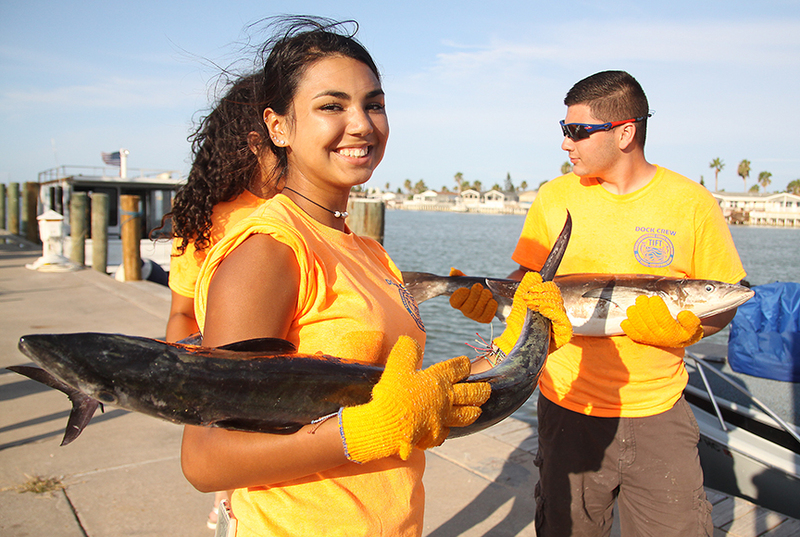 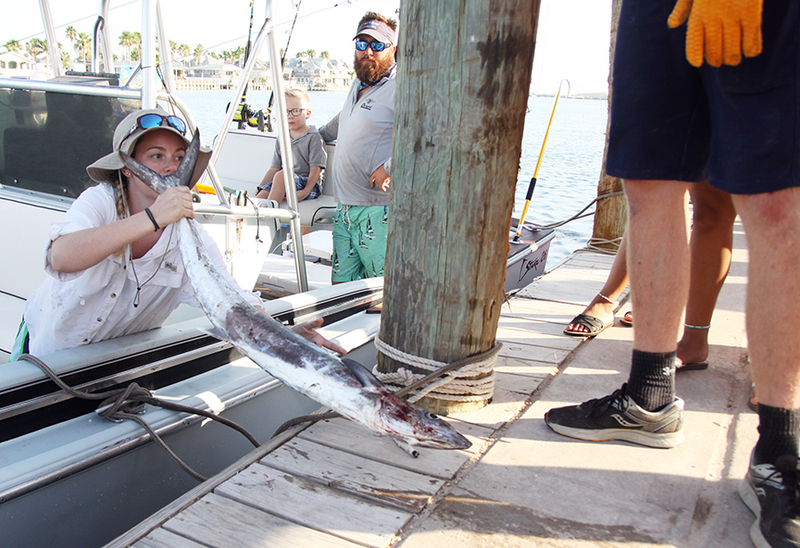 On Friday, the rumor mill on the dock at Southpoint Marina in Port Isabel was afire with whispers that an angler who may have caught a state record tuna was on his way to weigh in. 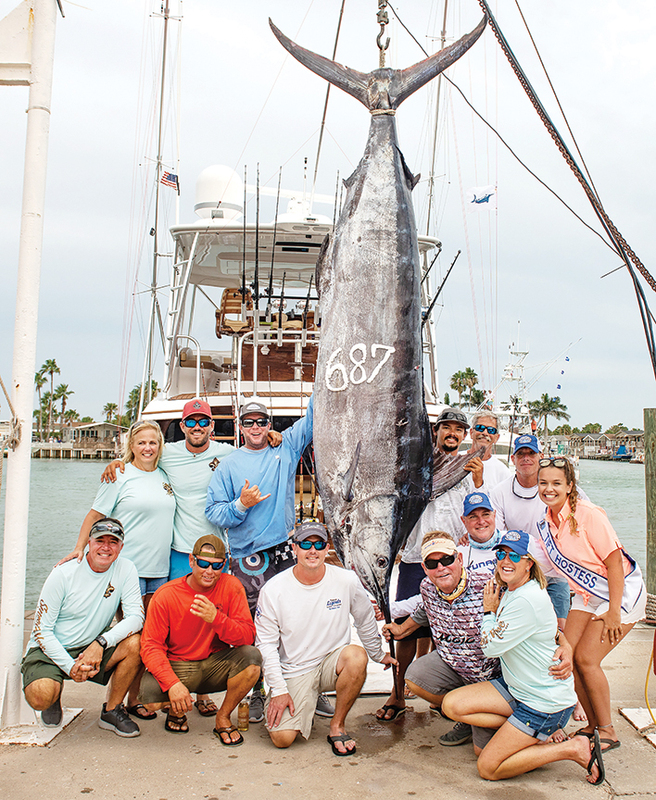 It wasn’t a state record, but it was a TIFT tournament record as anglers aboard the New Orleans-based “Smooth Move” hauled in a 206-pound yellowfin tuna. 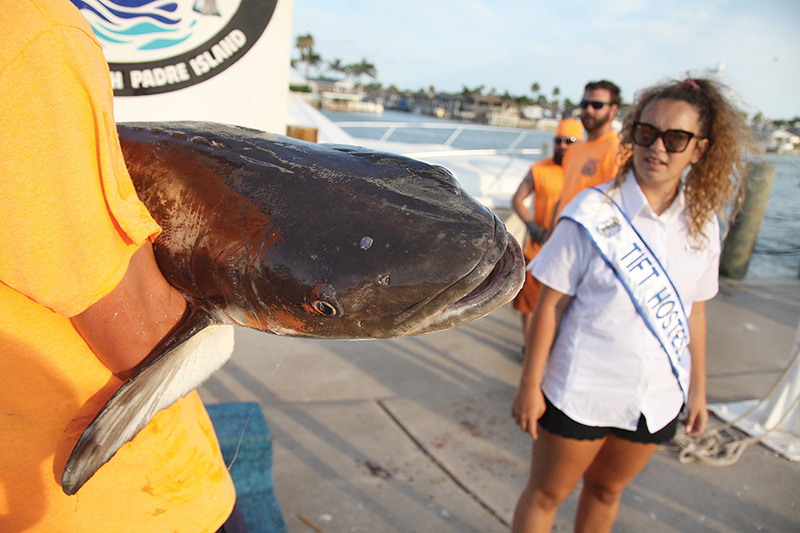 “It was close. 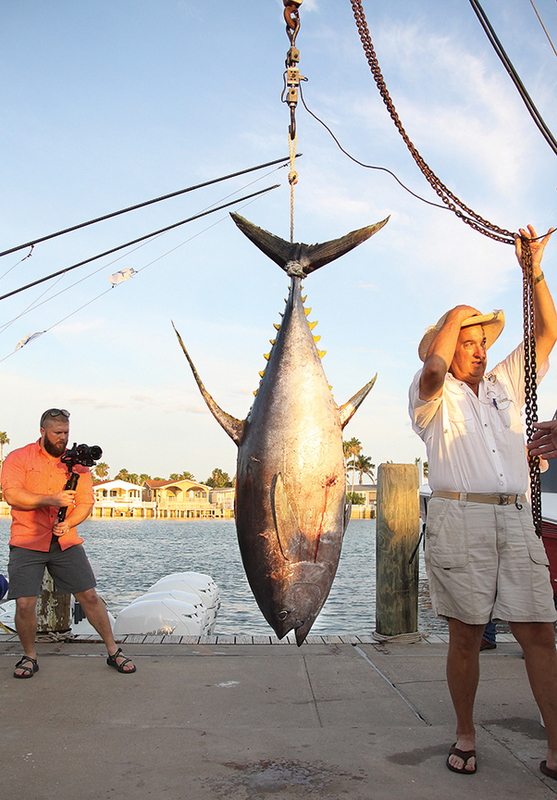 We were hoping for it (state record), but no,” said Matt Reed, the angler who reeled in the tuna. 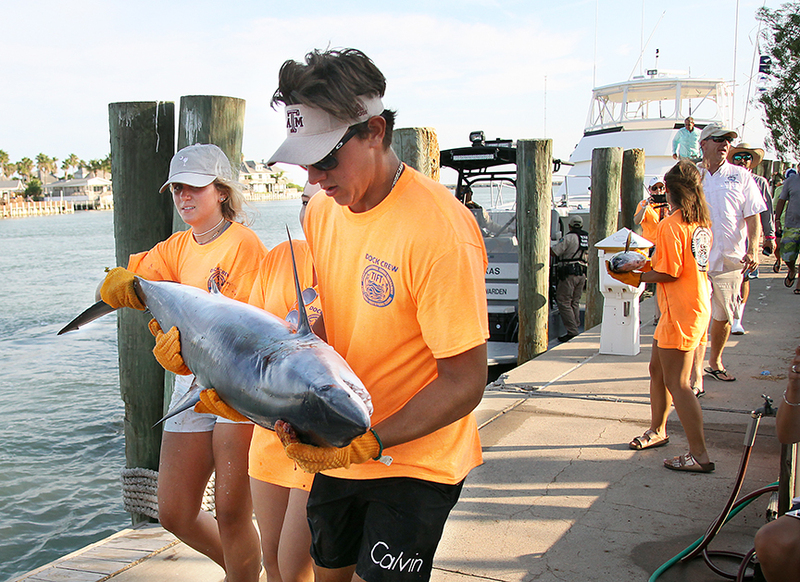 “Actually, the captain holds the state record,” he said, speaking of the Smooth Move’s captain, Brian Phillips. 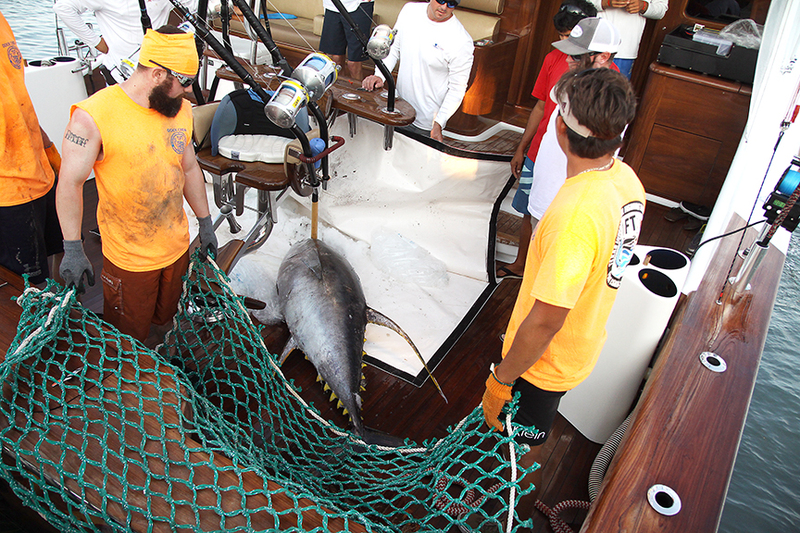 Reed described how he hooked the tuna. 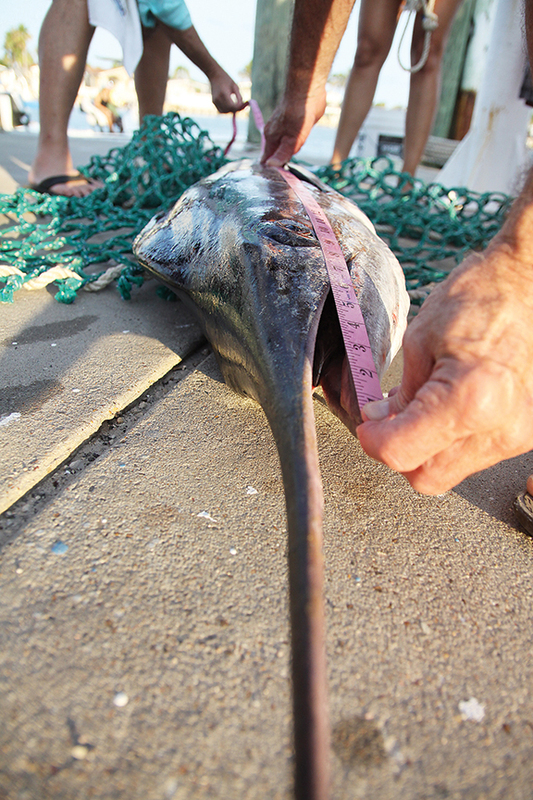 “It ate one of our marlin baits and we fought it for 35-40 minutes. 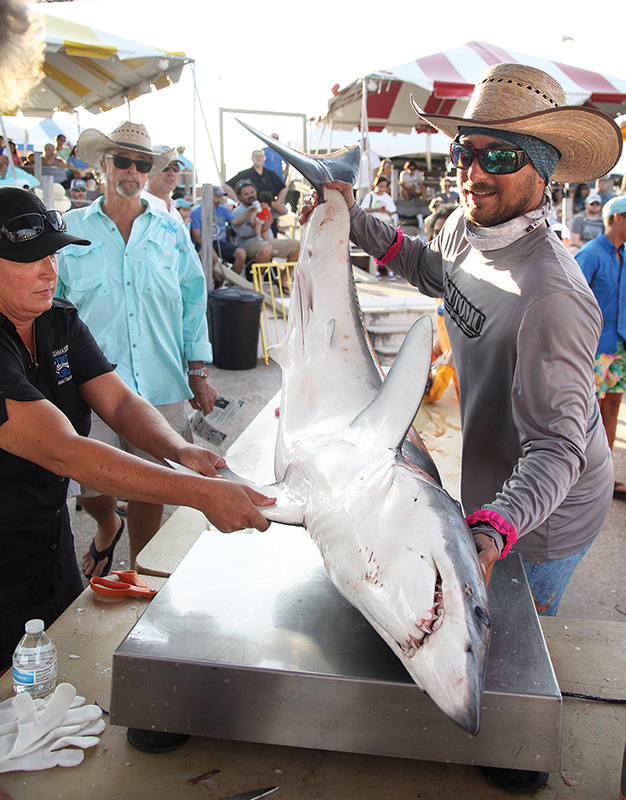 It was a relatively easy fight,” he said. 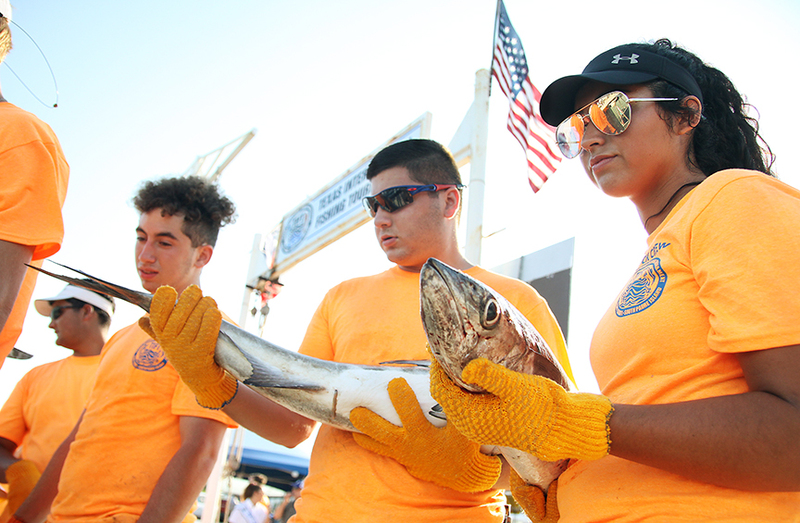 Dock workers hoisted the large fish using a chain at the center of the dock; its silver skin and the triangular yellow fins along its back from which it gets its name glowed in the afternoon light. 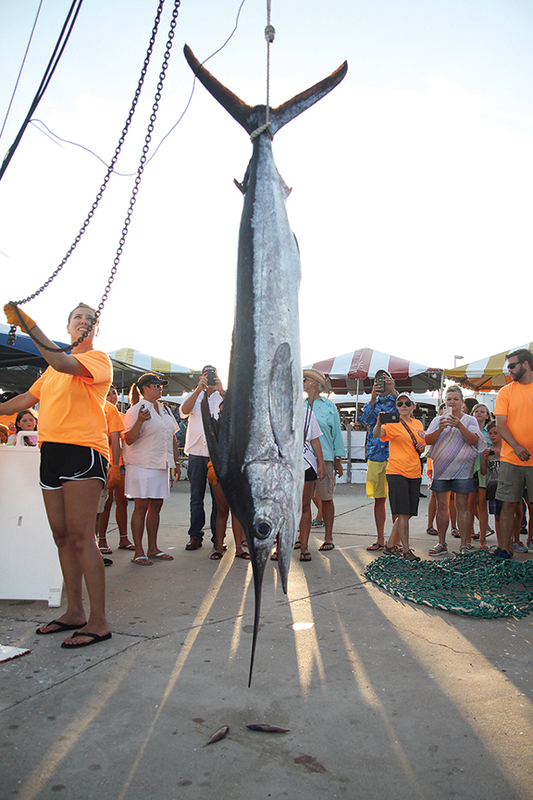 The crowd murmured with excitement about the fish long after the anglers had left the dock. 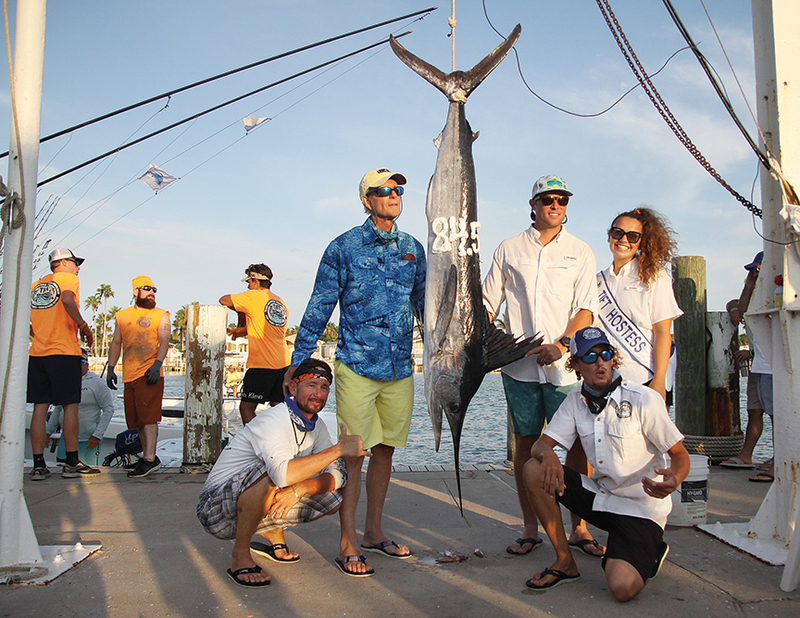 The following day, the Smooth Move’s anglers wowed again, this time hauling in a trophy winning blue marlin. 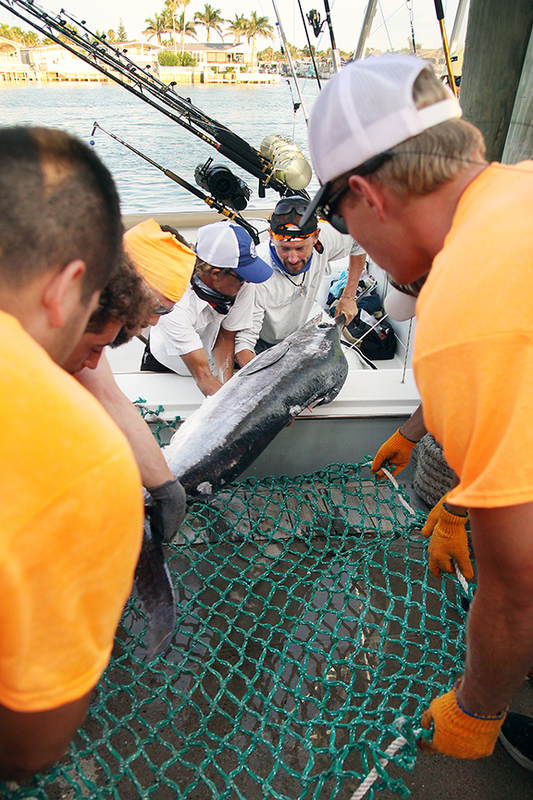 Measuring in at 120.5 inches long, and weighing 687 pounds, the blue marlin set a new tournament record, breaking the previous record set in 2014 by just two pounds.